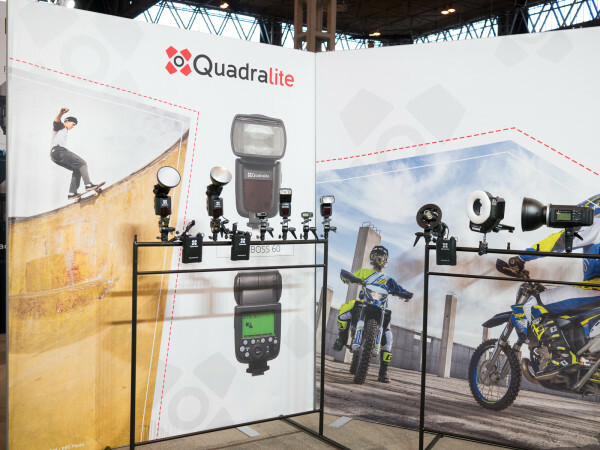 Global brand 'Quadralite' launches at The Photography Show, with raft of portable lighting products including flashes, studio lights and LEDs. 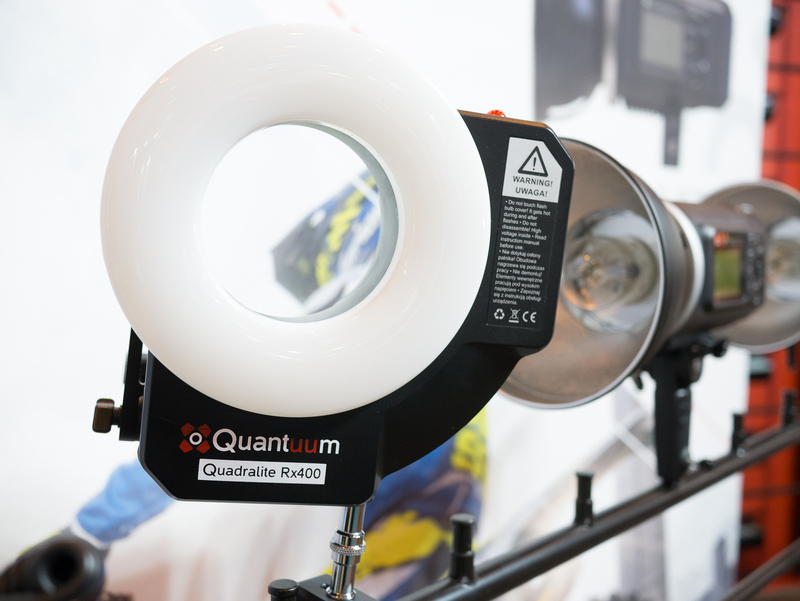 Polish lighting brands Quantuum and Genesis have been merged and renamed Quadralite. 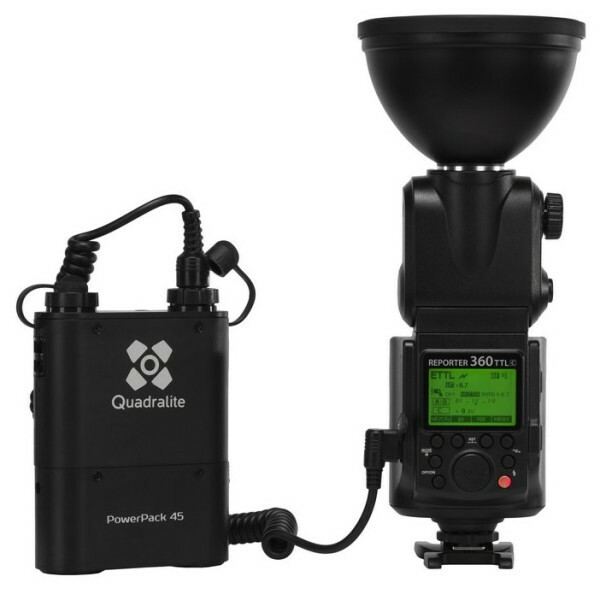 However Quadralite also sells certain non-Godox gear such as the Quadralite DP (dual power), which is an AC/DC studio flash based on (but apparently improved from) the Mettle dual-power system. 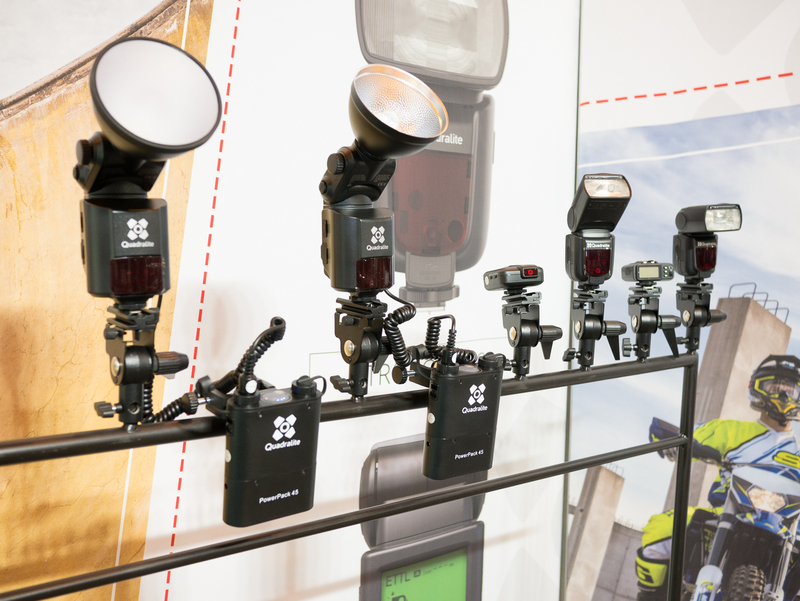 The DP design, having been sold in various guises for about five years now in 600Ws and 300Ws variants, is getting long in the tooth, but this turns out to be an advantage, or so say the company reps: the DP’s slow flash duration makes it well-suited for use with high-speed radio triggers (e.g. PocketWizard HyperSync), which rely on the flash illuminating the camera sensor throughout the whole exposure. (Elinchrom’s new Quadra HS flash head is designed the same way.) The DP runs primarily from the mains but for outdoor use can take DC power from an optional battery pack. 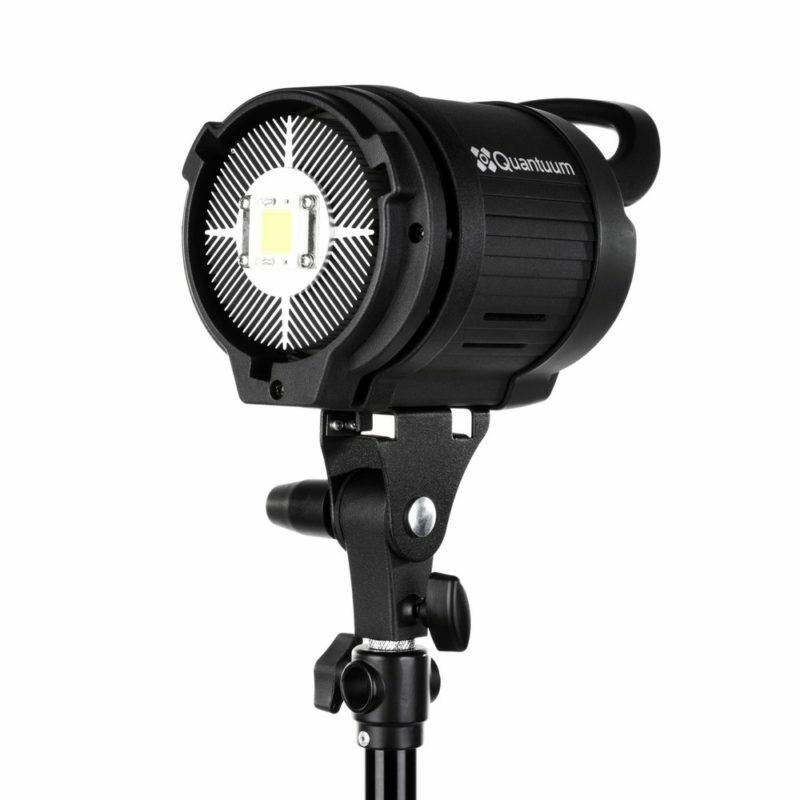 Another interesting non-Godox product is the VideoLED 600, a 60W LED monolight with a Bowens mount (in similar form factor to Mettle EL-600). Quadralite tell me that they’ve improved the LED chip from the original Chinese version, so that it has a colour rendering index of 93+, a daylight-balanced colour temperature of 5400K with “no tint”, an output of 5200 lx and a “silent” cooling fan. Thanks to its standard S-fit bayonet the VideoLED 600 will accept all kinds of reflectors, snoots, beauty dishes, softboxes and so on. The “low working temperature” means you don’t need special heat-proof softboxes. A more powerful 100–120W unit is planned for the future. 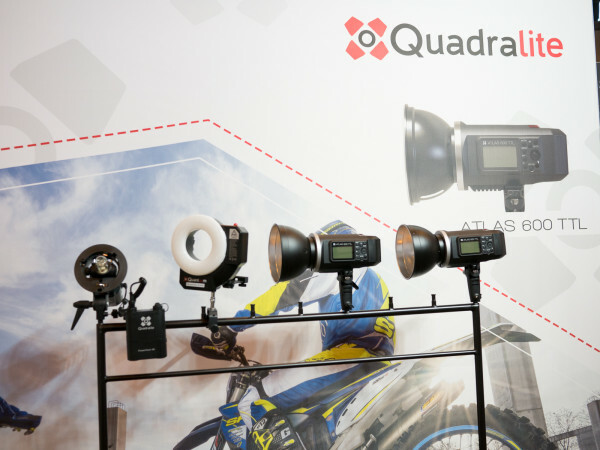 Here are some photos I took at Quadralite’s stand at The Photography Show. 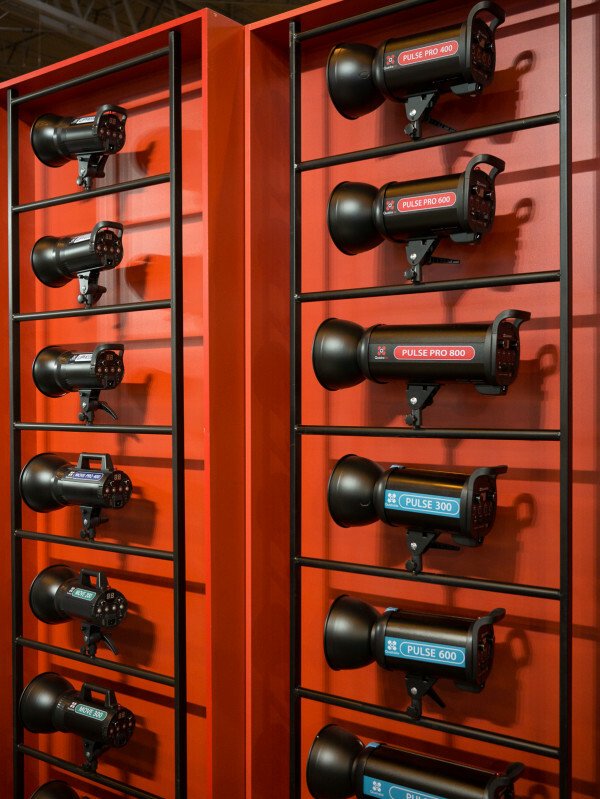 Why buy from them when there are so many other retailers doing Godox gear? They told me they would offer “better pricing” — their AD360II (Reporter 360 TTL) is £435 for a kit, versus £470 for the equivalent Pixapro Hybrid360. 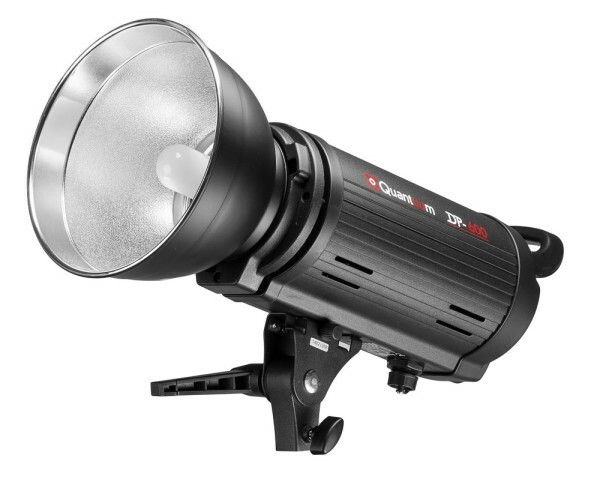 Beginner-friendly “Up!” studio flash heads start at £79 for 200Ws, or £89 for 300Ws. Another unique selling point is the after-sales support: Quadralite has its own service centre in hometown Kraków, so you can send your kit there for repairs rather than all the way back to China. They also have a 400-square-metre studio space where you can test their products, assuming you can get yourself to Poland first, of course. It was hinted that “completely new” homegrown products are in the pipeline, but we may not see these for at least a year. Quadralite already has a large number of dealers in continental Europe, but none in the UK yet. It is looking for one. Visit quadralite.eu for more information.